This week is confession week… we are here to talk about the one bad habit that could derail our workouts. The reality is I could list quite a few bad habits. There is my love of anything with butter, ice cream, or cheese, which I am sure, really means I should eat more fruit and vegetables. I could also talk about my ongoing excuse of being too cold to… swim, walk the dog, or get up early. Since I am not ready to separate from my love affair with ice cream we will move on. However, the last few weeks I have become aware of a bad habit that I do want to break. I continue to move through my day (including workout) without checking in with myself or my body. 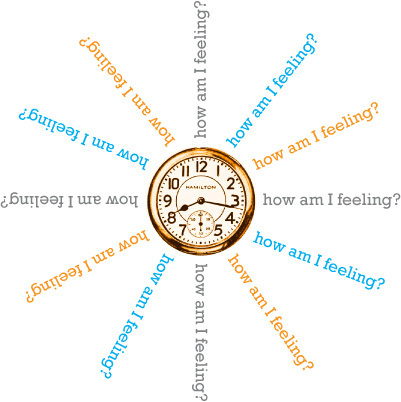 This might seem like an odd thing to do, but simply asking myself, “How am I feeling?” can be so helpful. Over the last few weeks I noticed that when I didn’t do my regular check in the result was dehydration, muscle fatigue, and extreme hunger. Last week I even strained a muscle due to this lack of self-care. I am now going to build the positive habit which is to check in with myself and really listen to see how things are going. Do I need more water or more protein? Maybe I need to spend some extra time stretching. Now I am asking and listening. Christmas — To Be or Not To Be?